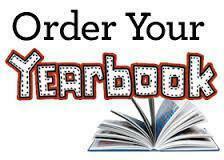 Don't forget to purchase your 2018-2019 Yearbook for only $55. Please click here to order. Can't remember if you have already purchased one? Click here for a list of purchasers through 3/26/19. Contact Darcey Diaz for any purchase-related questions.